While online learning is insanely popular nowadays, it is a largely solitary experience — it’s sometimes nicer to sit in a physical class and have some genuine, face-to-face interaction. Most of us have heard of HungryGoWhere, but if you’re looking to take up some local classes, you might like to check out LessonsGoWhere. LessonsGoWhere is an online marketplace where teachers can list offline classes, making it convenient for people to discover and sign up for them. 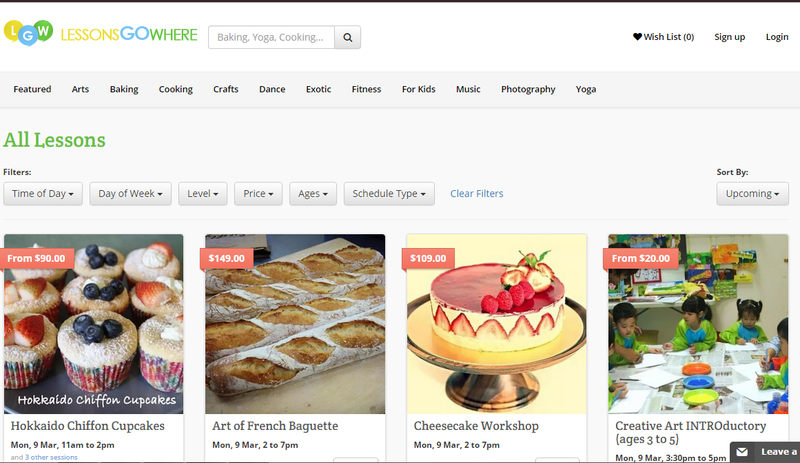 Want to learn parkour, floral arrangement or the art of making carrot cake? 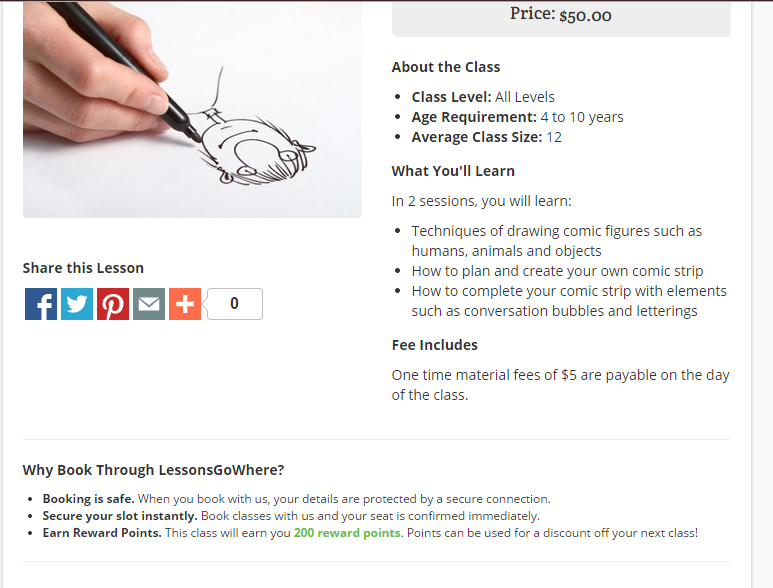 A quick search of the website revealed that classes for all of these are listed there. It’s often troublesome to search for classes, especially when you’re unable to compare your options effectively or hear what’s been said about a lesson. That’s where LessonsGoWhere comes in: each course profile comes complete with reviews by attendees (if there’ve been lessons conducted already) and comprehensive details of what you’ll be learning. Best of all, there’s also a discount system: when you sign up for classes, you can earn reward points that’ll be converted into a discount off your next class. The concept behind LessonsGoWhere is a simple one that, as co-founder Ng E-Fei explains, addresses a common problem. Inspiration sprung up when E-Fei, too, realised the difficulty involved in finding reliable classes — without peer reviews or a consolidated lesson platform, lesson-seekers had to face an arduous search. With their belief in the irreplaceable bonds created from shared learning experiences, it seems fitting that the three co-founders of LessonsGoWhere — E-Fei, Ethan, and Jackie — met through their shared passion for basketball. The principle that LessonsGoWhere lives by, he said, is to “Test everything. We’re building a business from the ground up. We don’t know what works until we test it, and even then, it can be improved.” This work ethic has stood them in good stead in resolving disagreements, and steering the startup from just an idea to its official launch in July last year. 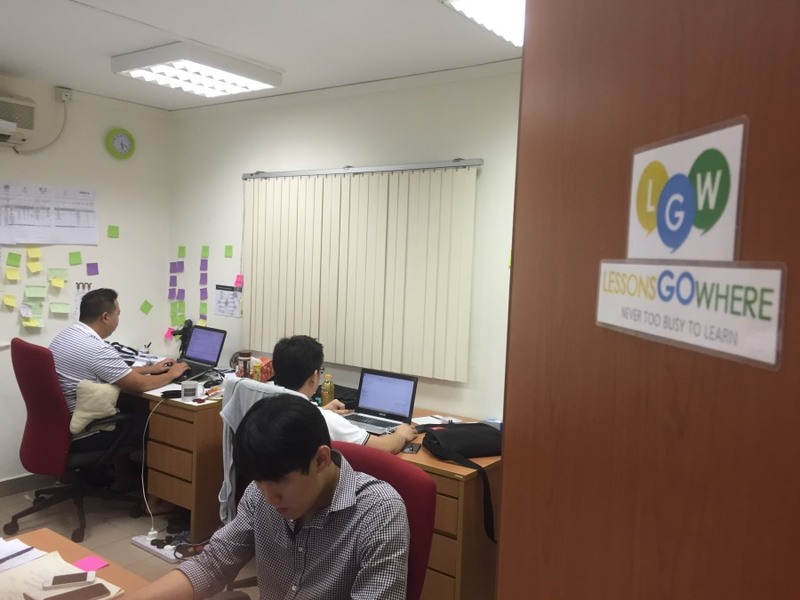 LessonsGoWhere isn’t the only online-to-offline skills marketplace in Singapore — Learnemy and Skill Ministry both center upon the same concept. 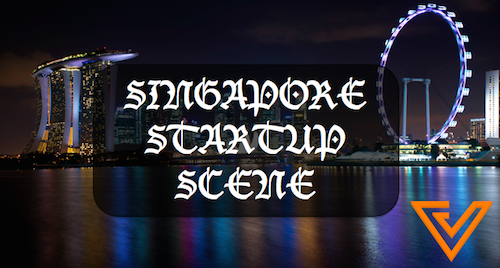 Nevertheless, in spite of the competition, the startup has seen rapid growth since it launched its beta version in December 2013 and its full version in July last year. E-Fei said, “I think right now, more and more lesson providers are gaining awareness of us. In the past, we had to directly approach lesson providers to join us, but we’re starting to see 15 to 20 lesson providers each month coming to us!” He added, “We’ve seen big jumps in our traffic recently, exceeding even our projections.” And with more lesson providers getting listed on the site — a quick browse yields everything from typical courses like Beginner Yoga to more exotic ones like ‘Tok Tok Chiang! Interactive Chinese Opera Workshop’ — there’s an attractive diversity of lesson types for even the most particular of users.